The year 2018 is apparently not to be a happy one for the Big Cats in India. Weeks after weeks, month after month, this notion is only getting stronger. You ask why? Read ahead. An unprecedented death toll of 106 leopards has been recorded within the short span of last two months, Wildlife Protection Society of India says. Uttarakhand ranked top with 24 leopard deaths, Maharashtra second with 18 followed by 11 in Rajasthan. 8 of the deaths were road-kills across the country. Experts say poaching and illegal trade account for about 38 percent of leopard deaths every year. 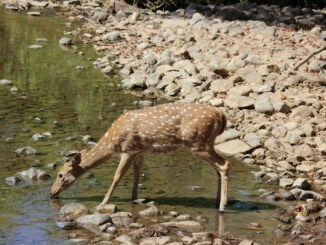 A video from Tadoba National Park of Maharashtra has surfaced and created much buzz online. 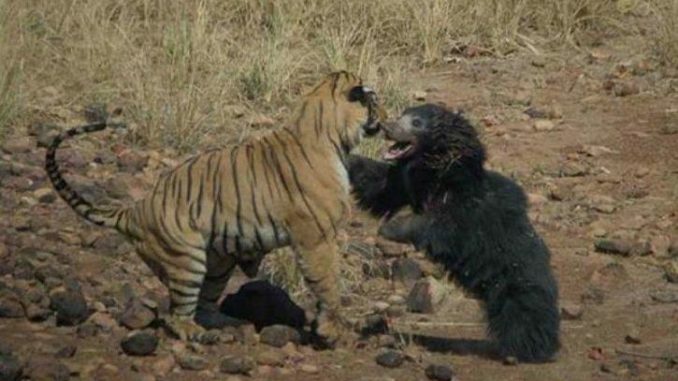 The video captures an unusual fight between a big cat and a sloth bear. The usually defensive bear turned aggressive when the striped big cat attacked it near a pond. The bear’s violent charge allowed her cubs to escape but the brawl left both animals injured. 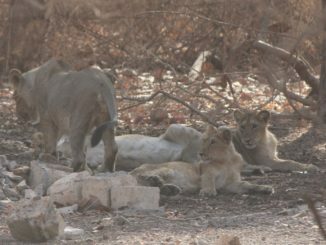 Furthering the process of lion translocation from Gujarat to Madhya Pradesh, the Gujarat Govt. has formulated a nine member sub-committee. As per the Supreme Court’s order, the committee formed to oversee successful translocation is to have two sub-committees, one from each state involved. The formed subcommittee is headed by the principal conservator of forest and includes state govt. employees, a representative each from Madhya Pradesh forest department, Union govt. and Wildlife Institute of India. 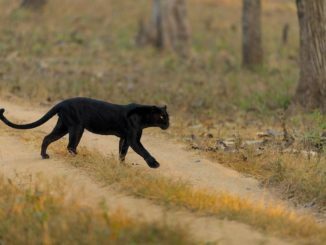 The forest guards of Junnar are going out of their way to feed and raise 35 leopards at the Manikdoh Leopard Rescue Center. Six of them are always present on the campus. They spend hours daily with these big cats, some of whom have man- eating tendencies, ensuring their well-being. They are also in-charge of tagging the cats with GPS when they are ready to be released into the wild. Not quite the usual human-wildlife story, is it? 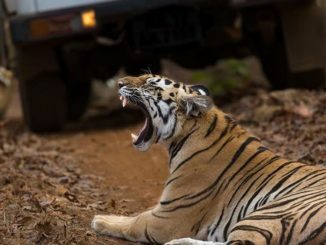 Grieving news has been reported from the Sariska Tiger Reserve. 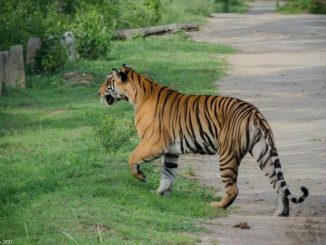 An 8-years old resident tigress that goes by the name ST5 is missing from the reserve. Her radio collar signals and pugmarks have been missing for more than three weeks now. 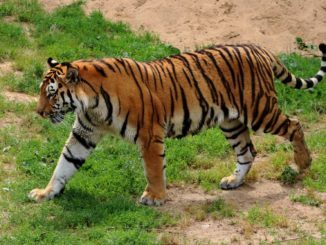 Officials opine that the big cat has either met an unfortunate end or has migrated away. Nevertheless, all the reserve staff has been issued alert of her absence. 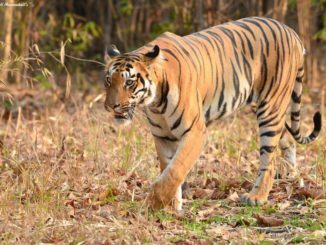 Madhya Pradesh is looking at new horizons in tiger conservation as the projected tiger stats for the state continue to rise up. 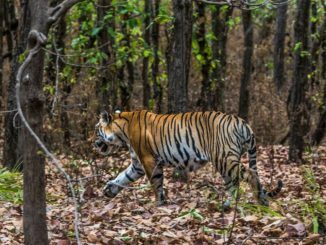 Camera traps had been set up in various protected and unprotected areas to ascertain tiger population. These traps have captured pictures of 355 different tigers so far. The numbers are expected to go further up and beyond 400. If they do, the state will then be declared a Tiger State, adding another feather to its cap. A leopard was spotted sauntering in a residential complex in Indore. He was first found in a balcony in Palhar Nagar area, post which forest officials were promptly informed. Meanwhile, he managed to scare many people on his tour around the place. 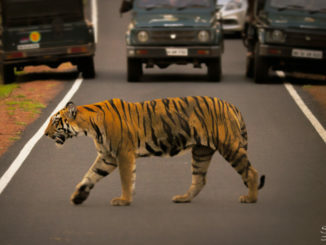 It had injured 4 forest officials and dodged 3 injections before it could be controlled. 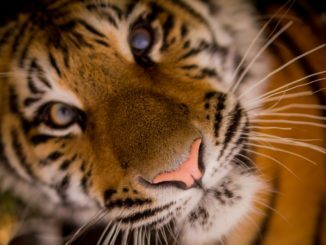 The big cat was sent back to forests when the injection left him unconscious.